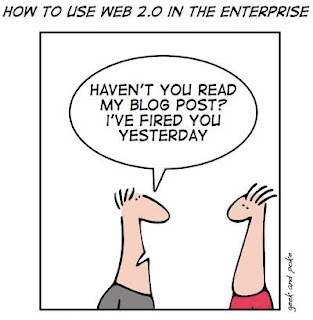 You are currently browsing the category archive for the ‘Enterprise 2.0’ category. Naming of Windows Operating Systems comes back full circle with Windows 7. Windows started with 1.0, 2.0, 3.0, 3.1, then moved to 95, 98, 2000 then to XP and Vista. However, unlike the first few times, this time the number does not really correspond to the real version no. of Windows (which is actually 6.1). It is just a number. Perhaps the real reason for the shift in naming convention might be related to pure marketing. Microsoft wants to get the focus away from its “Vista” disaster and position the new operating system as something totally new and different (although it is based on the same code base as Vista which is windows version 6.0). So, here is my theory just to add to the naming controversy – the naming is based on numerology – Why? DDoS brings Twitter down. Is your network next and how you can prevent it. Slightly over a month ago, it almost seemed like the real-time world came to an end when Twitter went down from a denial of service (DoS) attack. Most other services like Facebook, livejournal and even Google to some extent bore the brunt of the attack. Folks addicted to real-time streams were left twiddling their thumbs while rest of the world kept speculating on the origins, the hows, and the whys of the attack. Very few, however, talked about whether the attack could have been prevented or mitigated and what lessons if any were learned. The ‘how can we prevent it’ question also came up in a recent conversation I was having with someone. Given that every business today sells something online (either products or services), the recent DDoS attack carries significance for all. DDoS, if you are not familiar, is Distributed Denial of Service where the hacker takes control of several computers like yours and then launches a concerted attack on the victim. (slow internet connection without much activity? – your computer is probably being used by a hacker).